Andy Anderson and the Peaceful Valley Boys appear to have been based in Georgia. In May of 1949, the group recorded four sides for Columbia Records. 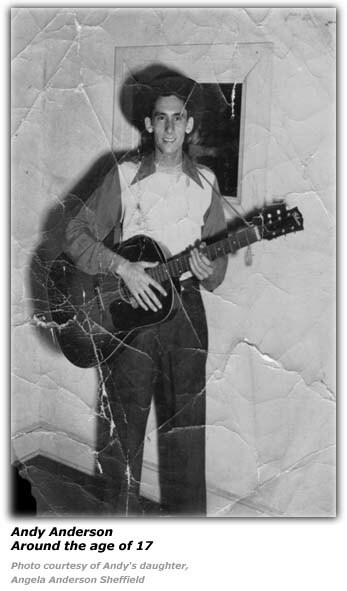 His band, the Peaceful Valley Boys consisted of Frog Collins, on steel guitar; Gene Elby, bass; and, Jimmie Rich, who played the accordion and played the role of lead rhythm. Andy was also a songwriter and penned a couple of the tunes they recorded. His daughter notes that he had several tunes copyrighted, but were not circulated. 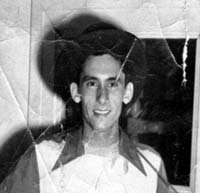 Shortly after making these recordings, Andy was drafted into the military service. 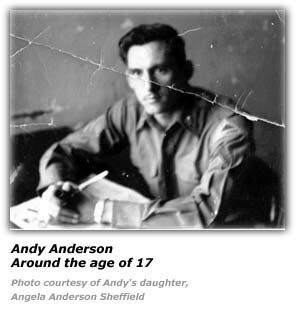 Billboard magazine reported in its December 9, 1950 edition that Andy had joined the U. S. Army and was stationed at Fort Bragg, North Carolina. Around this same time, he met the lady he would eventually marry on January 13, 1951 and will be celebrating their 57th year together next January. In January of 1951, Columbia records was revamping its roster of artists including the country music field. Don Law was the A and R person at the time leading the changes. At that time Columbia dropped such artists as Al Dexter, Bob Atcher, Ted Daffan and Andy Anderson as well. 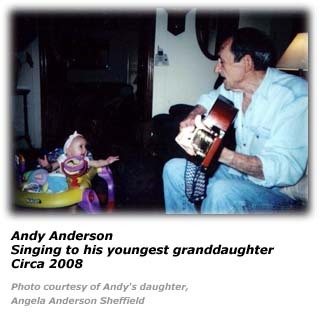 His youngest daughter tells us that Andy was always playing the guitar and singing in the home through the years. In 1954, Andy was part of a show called the Ray Jewelers show. The show aired once a week for over a year. Fans who recall this show would remember Andy singing the jingle, "Charge it, charge it Mr. Ray". The show was broadcast over WTOC out of Savannah, Georgia. Andy and his wife had seven children. Today, their family also includes 16 grandchildren and four great-grandchildren. 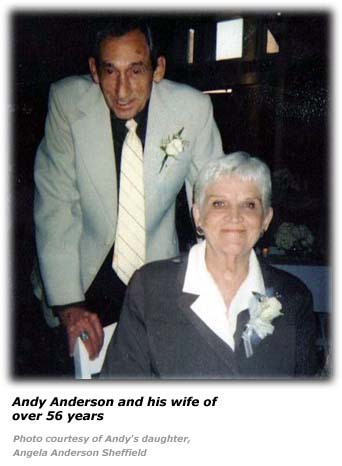 Hillbilly-Music.com wishes to express its appreciation to Angela Anderson Sheffield, daughter of Andy Anderson for providing us with photos and other information about her father's musical career and life. Hillbilly-Music.com wishes to thank author Wayne W. Daniel, ("Pickin' On Peachtree") for providing us with the information and citations from Billboard magazine.